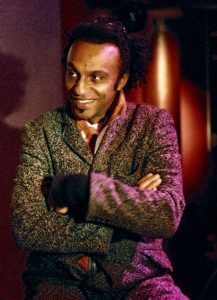 The famous African-American showman, pop-rock musician, composer and jazzer, Manu Katché, started out as Peter Gabriel’s drummer, and then continued working with Tracy Chapman, Joni Mitchell, Sting, Dire Straits etc. While collaborating with Gibonni in 2001, he performed in this part of Europe for the first time. And now, you’ll have a chance to enjoy his performance in a completely different atmosphere. He will be playing with one of the most famous Croatian jazz pianists, Matija Dedić, and with Romulo Duarte, a fantastic Brazilian contrabass player. Musicology Barcaffe Sessions’ concert will be held on 13th of April in Zagreb’s Students Center (Kino SC) at 8 p.m.
How often do we get to experience such magic happening in one place? Matija Dedić & Manu Katché will be presenting their album on this occasion, which was recorded in Paris last July. The duo is more than happy to be performing this album for the Croatian audience. Matija invites you to come and enjoy this magical musical evening. You are performing in Zagreb’s Students center, Kino SC, on 13th of April with Matija Dedić. How did this collaboration happen? Our mutual friend, Miša Relić, contacted me with some material Matija had sent him and asked if I would be interested to play on this project. I really liked the music and decided that I would do this project with joy. Matija came to Paris, we had a wonderful time recording, and I think it turned out well. Our concerts at Musicology Barcaffe Sessions, both in Belgrade and Zagreb will prove me right I hope. It’s not a solo project, it’s a duo album, but I am really proud of it. I released an album called “Colors” with pianist Yelena Eckemoff. It’s a fourteen song, near-eighty minute set of a musical examination of life. 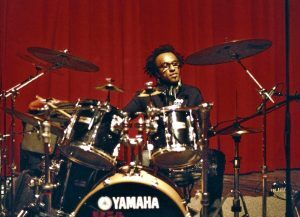 You’re known as one of the most famous drummers in the world, having in mind your solo albums, but also your collaborations. What changed during the years and nowadays? Probably my mindset mostly. I always did projects I believed in, but as I get older, I appreciate the time more and more, so I get really picky. And I think I have a different view on how to create and play music. I think as we grow older, we begin to understand the beauty of simplicity. You’re about to perform both in Belgrade and Zagreb, but you’ve already performed in Belgrade 14 years ago. What do you remember from this experience? The experience was really amazing. I got to meet Miša, who became my dear friend. It was him and his team that made the biggest impression on me. I was having some back issues back then, and they sent me to a spa, and took care of me, so I recovered. The team was so dedicated to making this happen, and to giving us the best possible experience, that we simply clicked and everything went more than smoothly. Since then, I am always happy to see and work with Miša, because I know I have absolutely nothing to worry about. Could you tell us more about your other collaborations, like Gibonni or Sting and how do you adapt to different music styles, and different characters of fellow musicians? It’s always a challenge to adapt to different styles, but at the same time, to stay recognizable and true to yourself. I think that is why those great colleagues of mine choose to call me to do their projects. Gibonni is a great musician and a warm person whose music comes natural to him and it’s a part of him. 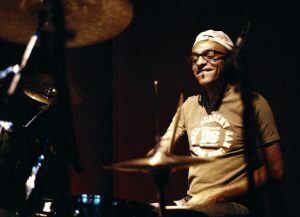 He was really open to my advice and he let me do my thing on the drums. Sting, on the other hand, is a perfectionist and knows exactly what he wants from every song. But, what he realizes is that musicians are not robots, so every musician brings a part of him to the song, and at the end it doesn’t sound exactly like he imagined. Still, he does admit that often it turns out even better. Do you have any advice to share with young drummers and musicians from Croatia? What is the key to success? Practice and repetition is the key, but also, listening to a lot of music, getting inspiration and learning from it. It is vital to be surrounded by music at all times, because in this hectic world, we can easily become distracted. If you want to live off music, you have to live the music.